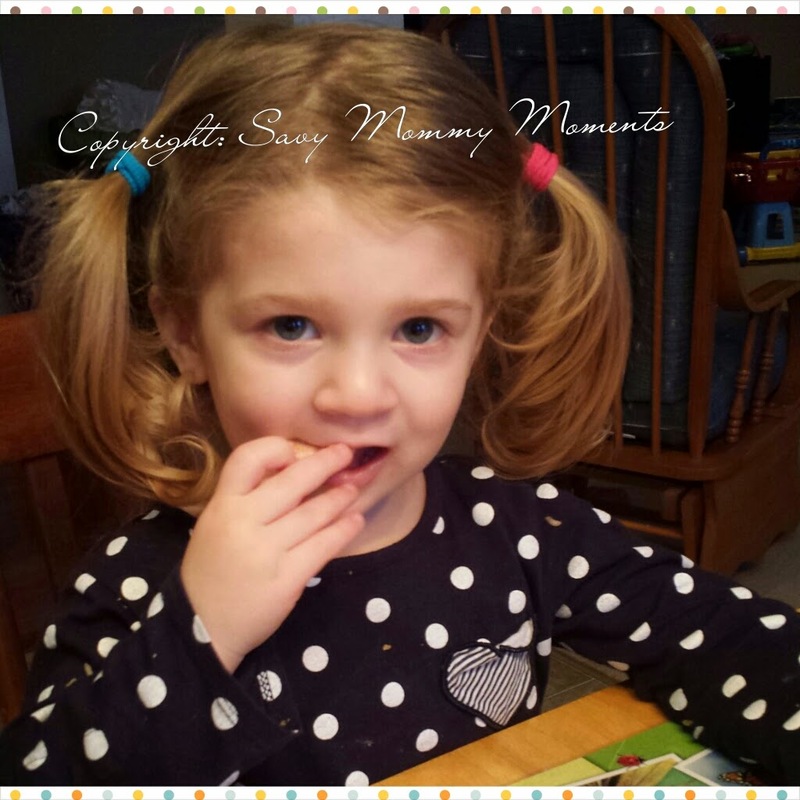 Mum-Mum Baby, Toddler and Kid Snacks Review & #Giveaway! We are a family always on the go and with three kids under five in tow, it's important to always have easy, delicious, non-perishable and healthy snacks on hand. I'll never forget the time I got desperate for a snack for Savy Preschooler when he was 9 months old and our trip to the baby store was taking longer than expected. I browsed the shelves and immediately came upon Baby Mum-Mums. At first, when I took them out of the package, I was hesitant and a little bit skeptical that he would actually like them and could eat them without choking. Almost immediately, my fears subsided as he grasped one in his little fingers and put it into this mouth. He looked right at me and gave me the biggest gummy grin. Baby Mum-Mum in Vegetable and Original. These are really great for little ones who are learning to feed themselves! They easily dissolve inside their mouths and both Savy Preschooler and Savy Toddler loved these two flavors. I can't wait for Savy Baby to try them out very soon! Toddler Mum-Mum in Strawberry & Banana. 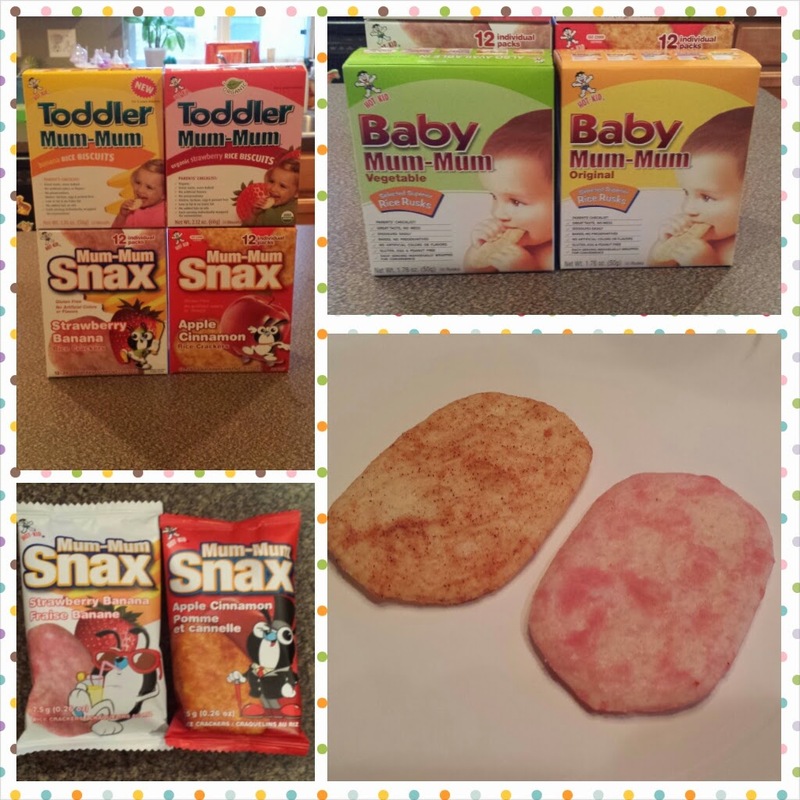 We discovered these when Savy Toddler turned just over a year old and we wanted to start giving her snacks that were more geared towards her age and eating level. These were perfect because they were a little denser and sturdier than the baby ones, yet still easy for her to hold and feed herself without any worrd. She definitely loved both of these flavors and would constantly ask for more. Mum-Mum Snax in Apple Cinnamon & Strawberry Banana. I was really excited to discover these in the package! 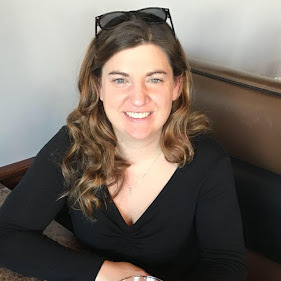 I had no idea they had come out with a version for Savy Preschooler and based on our extremely positive experiences with the baby and toddler versions, I couldn't wait to give them a try. Just a few hours after receiving them, I decided to give them to Savy Preschool and Savy Toddler as a "dessert" treat after dinner. Honestly, they had been begging me for some since I opened the package. Savy Toddler chose Apple Cinnamon and Savy Preschooler chose Strawberry Banana. Immediately, they both loved them! What I love about them is that they are perfect for their ages, as they are more like a true cracker than a wafer. The ingredients are organic and they contain no artificial colors or flavors. Since the first time they tried them, they have had them several times over and loved them just as much. Both flavors are so delicious, that we open one package of each and they each get one of each flavor. Overall, we really love the Mum-Mum snack line in our home! 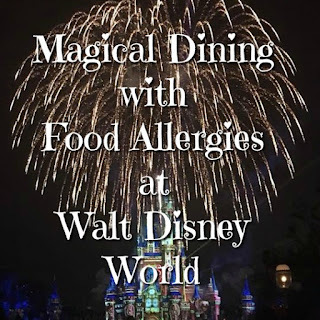 They are great for little eaters of any age and I highly recommend them for your family! Made with premium Japonica rice and other simple, all-natural ingredients! Learn More: Visit the Mum-Mum website for more information on all of their products! Click here to locate a store near you! Win: Enter below for your chance to win a Mum-Mum snack package filled with one of each of their products! Open to U.S. residents only. Giveaway closes May 9th, 2014 at 11:59pm CST. Good Luck! 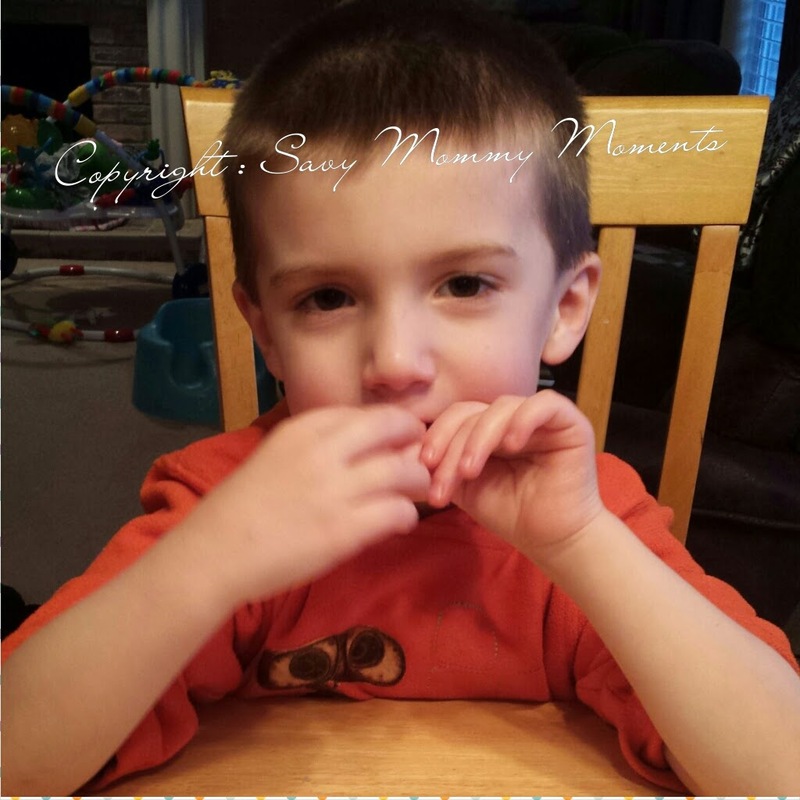 *Disclosure: Savy Mommy Moment's was sent the product(s) featured in this post in exchange for this review. The opinions are 100% her own. No other blogs received compensation to post or promote this giveaway. Prize fulfillment is the sole responsibility of the sponsor. Toddler Mum-Mum Rice Biscuits, Strawberry!